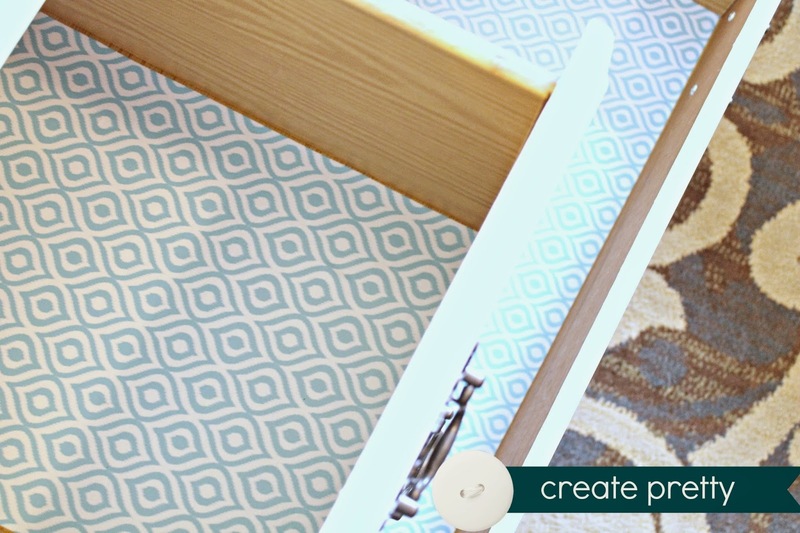 I shared a few days ago about our new to us dresser and how we refinished it with DIY chalk paint. It was a pretty fun process. But the inside of the drawers left much to be desired. 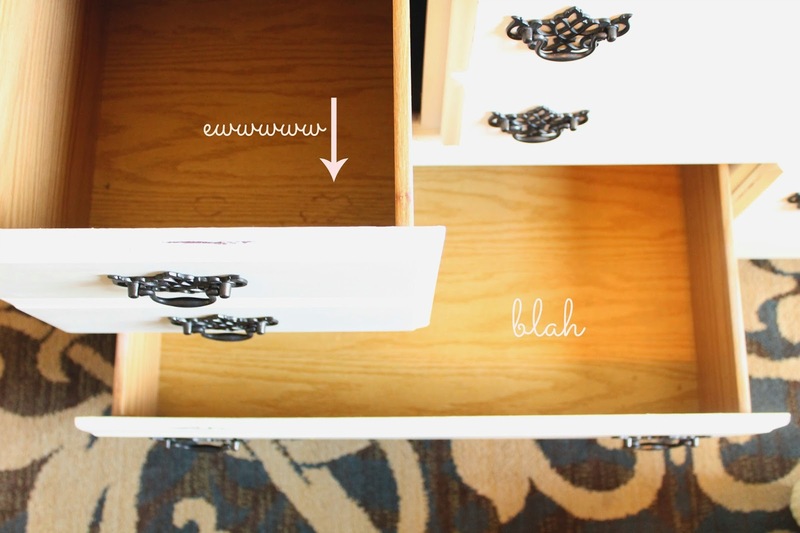 I knew I wanted to line the drawers so I waited to find the perfect drawer liner. I looked on amazon, but for the price didn't find anything that really struck my fancy. 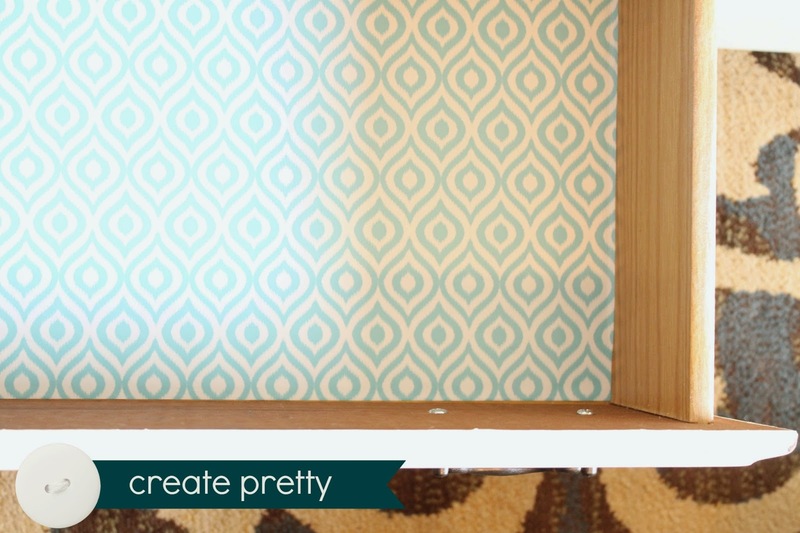 I ended up finding this ikat inspired geometric pattern shelf liner at walmart.com. They just happened to run a 1 day free shipping (got the alert on my phone), so at 11:35pm one night in early December I jumped. I don't really love walmart's shipping speed, but I really was in no hurry. It was really hard to get good photos. The shadows from the drawers really messed with the lighting! But you get the idea! Applying this stuff really intimidated me at first, but it's VERY forgiving. I used a tape measure and scissors to measure and cut. Since it's a pattern it was pretty easy to keep the lines straight. And if you do mess up you really will never be able to tell. If you end up with bubbles you can pull it up from one of the back corners and try again. I love peeking in and seeing a whole lot of happy when I open these drawers! Not to mention it covered up the nasty spills that wouldn't come off when I cleaned them. **By the way: Happy New Year's Eve! Excited about 2015. I'll have a few goals posted tomorrow that I hope to accomplish this year.